I apologize...I didn't put it in the right place. I will remember that for next time. Thanks for moving. not played many of those games, but Armor Attack is my favourite there. This came up on another arcade forum in the UK, that this would be really early in the morning for you guys...ugh. Well, I will keep this in mind when I schedule other guys from April out. Maybe I will try to do a weekend where the time difference isn't as big of a deal, if those creators are ok with that. The next guy I will try to schedule will be the creator of Mad Planets. 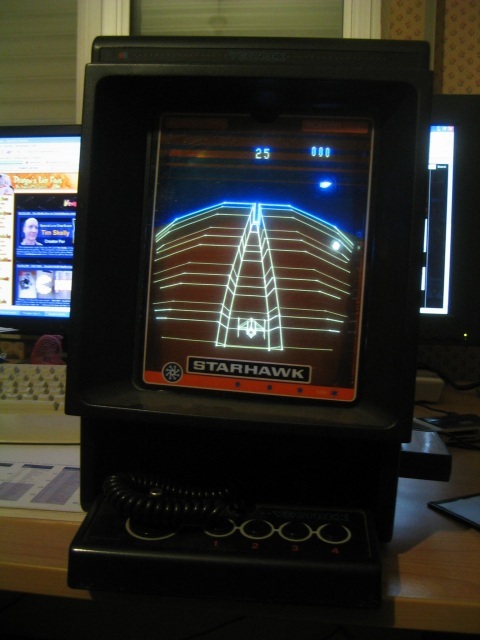 * STARHAWK was released in 77, the same year than the first Star Wars movie (episode IV 'A New Hope'). Does STARHAWK came before of after the movie ? Regarding what's on the screen (the *famous* trench, an X-wing ship that came from the top, and others ships VERY similar than the Tie-Fighters...), I would say... AFTER the movie? In that case, did you care about licensing ? Maybe some trouble with LucasFilm ? * How many persons worked on that title ? Did you also work on the cabinet design ? * Have you been involved in the Vectrex port of the game ? * Any particular anecdote regarding this game ? it's a terrible game. there is hardly any depth to the gameplay... and a lot of the time i think the game is cheating to make itself more difficult. 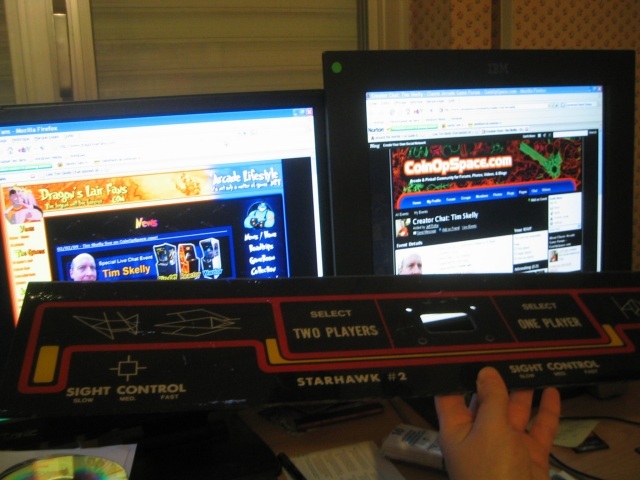 i know for sure if i am playing in game mode B (if i remember correctly), the moment i release the stick, it will centre my cursor and for sure i can just move the cursor up and shoot down the starhawk... but on later levels it doesn't work when clearly on the screen you can see you are shooting it dead on in the head! starship is a million times better.